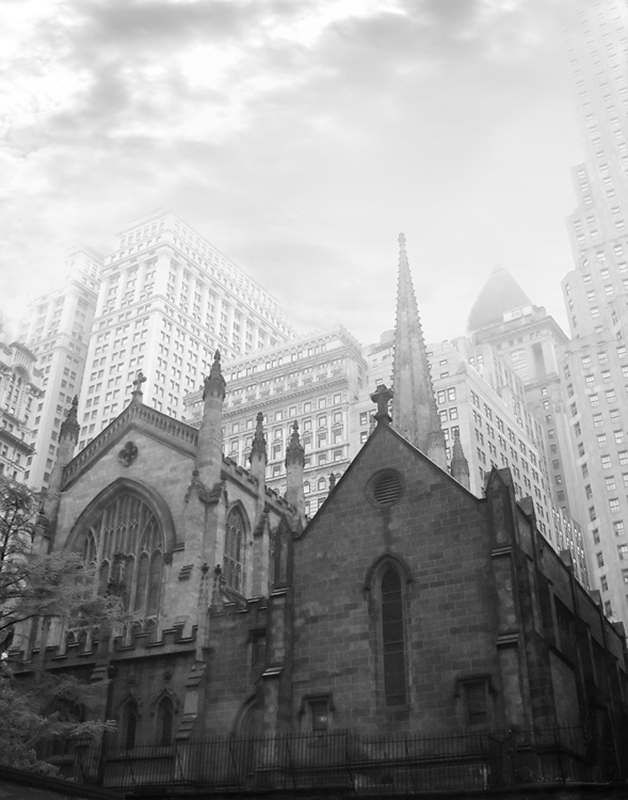 Photographer Ellen Fisch has a new exhibition of her Wall Street photographs at the Brooklyn College IRPE 3160 Gallery. After a successful exhibition of her Wall Street photographs at Jadite Galleries in midtown Manhattan, Photographer Ellen Fisch exhibits “Wall Street” at Brooklyn College’s Gallery 3160. 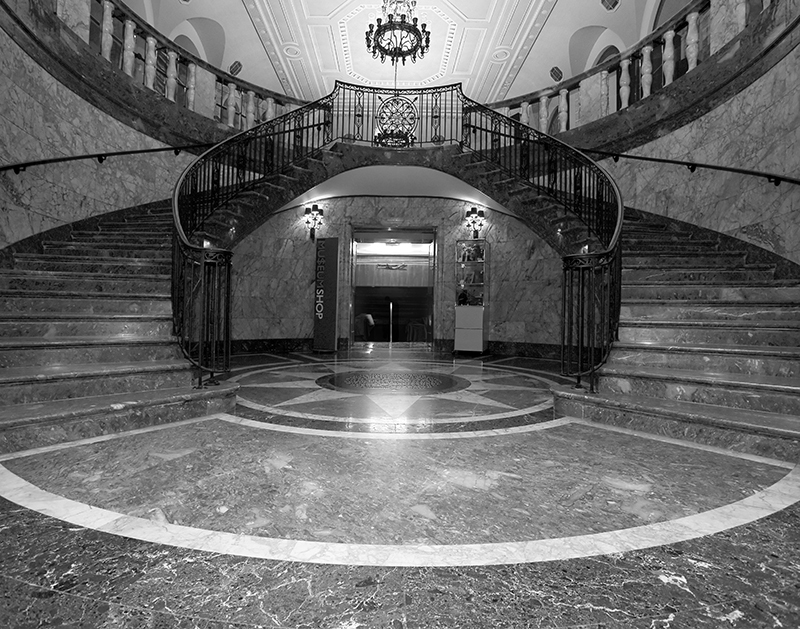 Part of IRPE (Institute for Retirees in Pursuit of Education), Gallery 3160 will showcase a number of the evocative black and white and sepia photographs of historic and marvelous architecture for which Fisch is famous. The exhibition will run from April 3 through April 27 including an opening/ meet the artist reception on April 3 from 1-2PM in room 3160 Boylan Hall. Curator of Gallery 3160 Madeleine Appell, herself a fabric artist and quilter, invited Ellen Fisch to exhibit the photographs in part because Fisch received her B.A. degree from Brooklyn College with majors in photography and architectural drawing. “Returning to Brooklyn College as a professional architectural photographer gives me great pleasure,” remarks Fisch. “I received a solid foundation in the areas of photography and architectural drawing at Brooklyn College that served me well in my field,” Fisch notes. Focusing on the juxtaposition of historical and artistic representations of Wall Street architecture, Ellen Fisch captures a true sense of a unique area of New York City that is integral to the heritage of the United States. By exhibiting the Wall Street photographs at Brooklyn College, Ellen Fisch is further elaborating on one of the tenets of American culture: education. “I deeply respect and revere our colleges and institutions of learning,” says Fisch, who received her B.A. from Brooklyn College in 1968. Fisch’s parents also attended Brooklyn College, a fact of which Fisch is proud. “Exhibiting at the IRPE 3160 Gallery gives me a chance to connect with my past and forge further relationships in my future as a photographer,” asserts Photographer Ellen Fisch with pride. About: Ellen Fisch is a New York based fine art architectural photographer focusing on architecture, history and the craftsmanship artisans used to ornament buildings. Fisch holds a B.A. and M.A. in art, specifically photography and architectural drawing. Collectors find Fisch’s black and white and sepia photography artistically expressive and timeless. Trinity ChurchTrinity Church has long been a landmark of the Wall Street area. First Bank of NY lobby/ Museum of American Finance: Wall StreetGrand lobby of historic building.